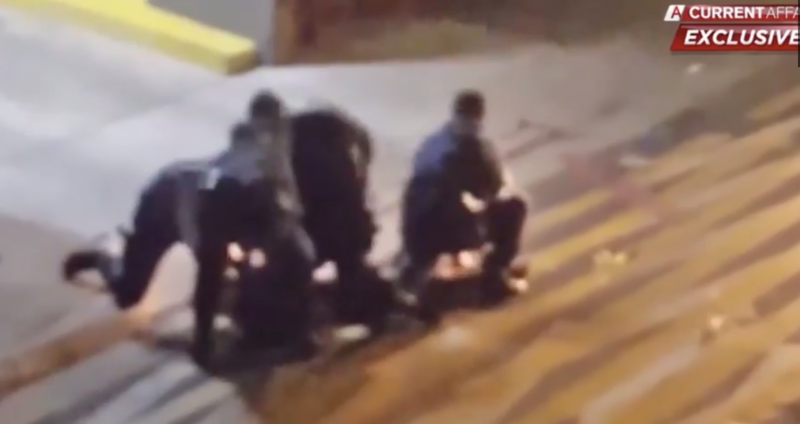 "Horrific" CCTV footage shows a group of Aussie cops savagely beating a teen with autism, and the resulting outrage is drawing attention to the country's worsening reputation for police brutality. In another case, Victoria police beat up a teenager who had ridden his scooter in front a police car, claiming that the baby-faced kid was the middle-aged, bearded car thief they were unable to find. Tommy Lovett was riding by a police car on his scooter when he was wrongly arrested. ... Documents obtained by The Age reportedly support Mr Lovett’s claim that he was hurled into a fence, assaulted while handcuffed and capsicum sprayed — leaving his body bruised, grazed and bleeding. Victoria Police vehemently denied the claims and an internal investigation found nothing wrong with Mr Lovett’s arrest. However, a human rights lawyer who spoke to 7.30 said the cases — including one where a Melbourne doctor claims police threw her to the ground and punched her in the head — outlined in the investigation are alarming. “These cases keep going on,” he said. “There’s clearly cultural systemic issues at work." More footage shows another Aussie cop attacking a disabled senior. A Victorian policeman retained his job and rank despite being caught on CCTV assaulting a drunk disability pensioner at Geelong Police Station. Revelations about the handling of the case by Victoria Police come amid growing pressure on the State Government to back reforms of the state's police complaints system.